Bill Backer, the ad giant behind the world's most famous ad, Coca-Cola's "Hilltop," which had a prominent role in the finale of Mad Men, died on Friday. He was 89. He is survived by his wife, Ann Backer, who confirmed his death to the New York Times. Backer's iconic work for brands like Miller Lite, Campbell's Soup and Lowenbrau during his years at agencies like Young & Rubicam and McCann-Erickson as well as the shop he co-founded, Backer Spielvogel Bates, showcased his ability to find ideas that could surpass typical marketing efforts and connect real, human feelings with brands. A former songwriter, Backer's work often featured catchy jingles like the famous Coke tune, "I'd Like to Teach the World to Sing," or Lowenbrau's "Here's to Good Friends, Tonight is Kinda Special." In 1993, with the release of his book, "The Care and Feeding of Ideas," Adweek published an excerpt from Backer's chapter on Miller Lite. In it, the Yale-educated Backer distilled the difference between a basic idea (one that would be long-lasting for brands) and an executional idea. He wrote: "How long should a basic idea last? If you understand and agree with my definition of a basic idea, the answer is easy. It should last as long as the need or want exists. And if it is a big idea, obviously the number of people who continue to have the need or want that the basic idea originally illuminated is important. By not understanding how to separate basic ideas from executional ones, organizations all over America allow many basic ideas to die because the executions have become tired, dated or just plain obsolete." 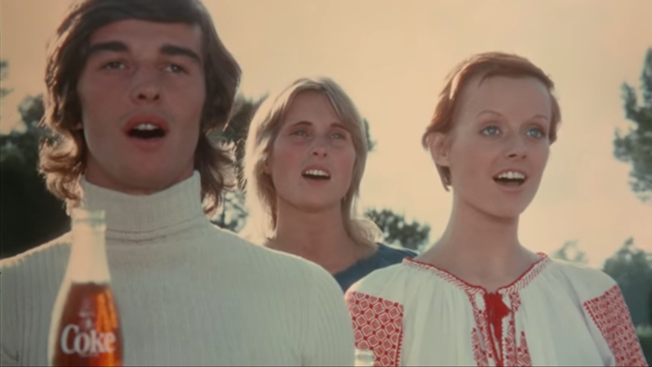 In April, Coca-Cola released a remastered and color-corrected version of the 1971 "Hilltop" ad. Backer told CNN last year that he "didn't care" about his famous ad's use in the Mad Men finale as he had stopped watching the show after two seasons and "hadn't seen" the finale. After a four decade-long career in advertising Backer retired and moved to Virginia. There he served as president of the Piedmont Foundation.